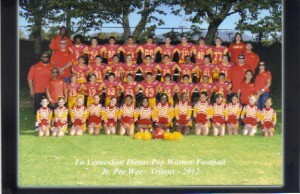 Each year, the most academically accomplished Pop Warner kids compete for Academic All-American status. This process begins at the association level and up through each of the eight Pop Warner regions to the national level. There were 400,000 applicants nationwide.